Professional, loyal and instantly approachable, George prides himself on representing his clients to the absolute best of his ability. 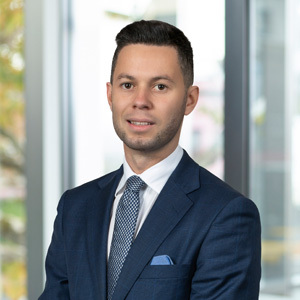 Seeking a career path where his excellent communication skills and natural customer rapport building could be fully utilized, George was introduced to real estate – a perfect match! George prides on himself on delivering ‘all star’ service ensuring his client’s needs are met and expectations always exceeded. A local of Melbourne’s south-east also gives George a unique home-ground advantage knowing intimately the areas amenities, services and key lifestyle attractions. A keen traveller at any given opportunity, George also loves to keep fit, entertain family and friends, as well as being a self-confessed Richmond Tigers tragic.